Jason Todd is an attorney working in Sanders Phillips Grossman’s Mass Torts division, to which he brings a strong desire to help clients seek justice. Jason earned his undergraduate degree from Washington State University and went on to obtain his law degree from Gonzaga University School of Law. 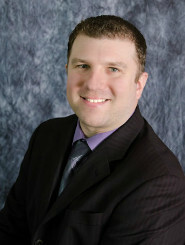 Jason was admitted to practice in Washington State in 2009 and is a member of the Washington State Bar Association. Prior to Joining Phillips Law Firm Jason worked as a personal injury attorney helping clients who were wrongfully injured. In his spare time Jason enjoys playing golf.